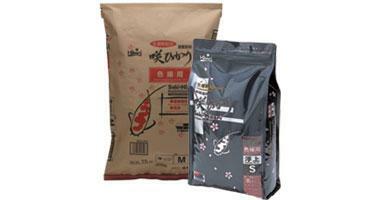 We stock a wide range of Koi, fish food & feeders - all for sale online and delivered to your door. We specialise in the keeping and retailing of high quality koi carp. Our reputation as a family run koi business has built up over 19 years of selling koi. We also offer consultancy & on-site services including building ponds, fish health & pond maintenance. Click on the image above to view our range of Koi carp for sale - we stock several varieties including Kohaku, Tancho Sanke, Showa Sanshoku, Bekko, Asagi and Shusui. We stock a wide range of food and feeders for your Koi including products from Kusuri, Kockney Koi, Medicarp, Takazumi and Yamato. Find out more about our recent trips to Japan and Poland, as well as our new Koi products.